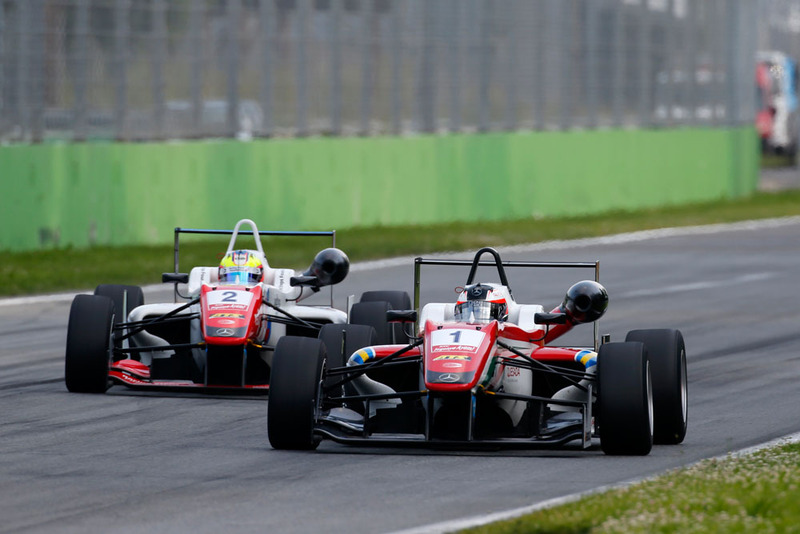 Jake Dennis secured his third podium finish of the weekend with second place in the final, red-flagged Formula 3 European Championship race at Monza this afternoon. Officials - concerned about driving standards following a series of incidents in the previous race yesterday - pulled the plug after nine laps during which two safety cars were required. The first was scrambled at the end of the opening lap by which time Dennis was up to third from fourth on the grid having got the better of Antonio Giovinazzi for the second race in a row. Up ahead Prema team-mate Felix Rosenqvist had capitalised on pole to take the lead ahead of fellow front row starter Charles Leclerc, who Dennis dispatched with a smart move around the outside at the Roggia chicane soon after the resumption of racing. That lasted for all of three laps before the safety was scrambled for a second time following a four-car scrap for seventh into the first chicane which left Mucke's Mikkel Jensen stranded in the gravel trap. Three laps behind the safety car followed before the race was abandoned leaving Rosenqvist to take his third win of the weekend ahead of Dennis and Leclerc. Championship leader Giovinazzi - who had not been off the podium all season prior to his arrival at Monza - wrapped up fourth to retain his points lead. Dennis retains fourth place in the standings. As per yesterday's race two, only half points were awarded.